Exclusive touring - no sharing! Experience the ultimate in Barossa Valley Wine Touring in a classic 1962 Daimler previously used in royal tours of the sixties. Your award winning wine guide, John Baldwin, will personally guide you on a discovery of The Barossa's famous and iconic wineries, Penfolds, Seppeltsfield, and a Robert Parker favourite, Torbreck. John has been conducting our private wine tours for 24 years, and loves to share his local knowledge and close relationships with the Barossa winemakers and characters, with all who tour with him. You will be picked up at your Barossa accommodation at 10am and you are off to Australia's most famous wine region - The Barossa. Learn of the history of this lively working rural environment, famous for its full bodied shiraz made from some of the oldest vines in the world. Vineyards abound - the stunning scenery and landscape is often compared to Tuscany - you be the judge!! Put on your white lab coat, and enjoy the informative, fun and educational experience of blending you own rhone style red (grenache, shiraz & mouvedre) wine in the Penfolds wine making laboratory. You'll receive a 375ml bottle of your own personally blended Penfolds wine. Conclude this visit with a taste of the current Penfolds Grange (2014) at the cellar door. Enjoy a sumptuous 2 course lunch with a glass of wine at Vintners Restaurant and then the next stop is Torbreck Wines, described by Robert Parker as "...among the most exciting wines being made on planet Earth..." Experience a private tasting of super luxury premium Barossa wines at their famous Roennfeldt Road cellar door. 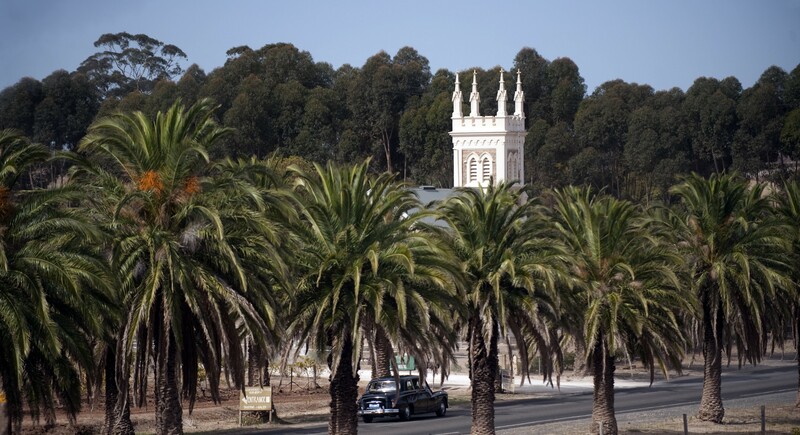 Next, you are off to experience the history and romance of Seppeltsfield, a living, national treasure dating back to 1851. Taste wines from the Paramount Range and then take the rare opportunity to draw and taste fortified wine from the barrel of your birth year. Your final indulgence is the unforgettable, 'once in a lifetime' liquid history experience of tasting the 100 year old Para Liqueur Tawny. 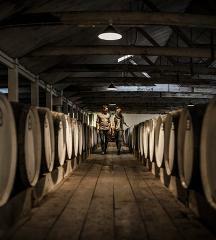 Seppeltsfield is home of the world's only continuous collection of fortified wines dating back to 1878. Time permitting, visit the Barossa Valley Cheese Company and maybe another winery. To top it all off, afternoon tea is at Maggie Beers Farm Shop, before you are dropped off to your Barossa accommodation at 5.30pm. ***Adelaide collections at 8.45am and drop off at 6.00pm are available - at an extra cost of $300-00 (per car for the return transfer, on tour day) All Adelaide transfers are in a modern vehicle and on arrival in The Barossa, transfer to the Daimler for touring. Please note that the cost for the Adelaide pickup and return will be charged later after email correspondences and you have given your approval! Hot weather policy - Please note that if the weather is forecast to be over 37 degrees Celsius (100 degrees Fahrenheit) for the day of the tour, the Daimler may need to be replaced with the modern Mercedes, for the comfort and safety of all. Appropriate refunds apply. Should any tour be cancelled by the client more than 30 days prior to the date of the tour, a full refund will be applied. Tours cancelled 8 to 29 days receive a 50% refund. No monies will be refunded for cancellations of less than 7 days except where the tour is cancelled due to illness or flight problems. The tour can then be re-scheduled and must be taken within 3 months of the original tour date.